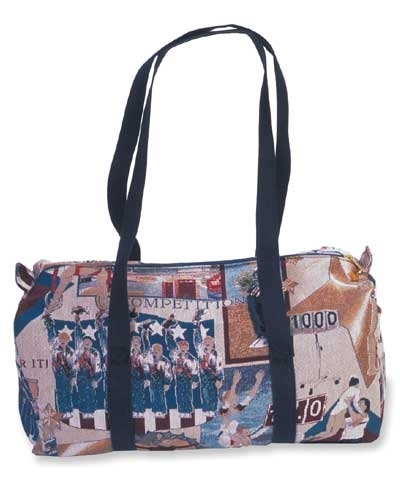 TEN-O Tapestry Overnight Bag. 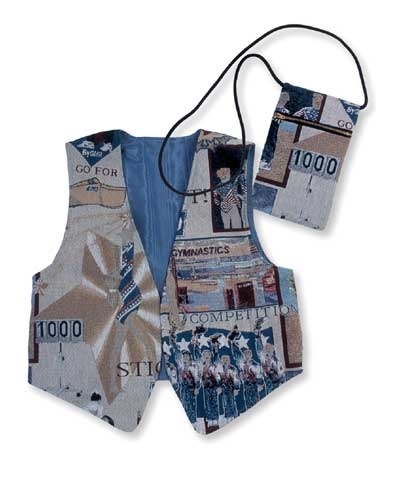 This unique heavy weight gymnastics themed fabric was designed by our graphics department for use in the town and travle bags. 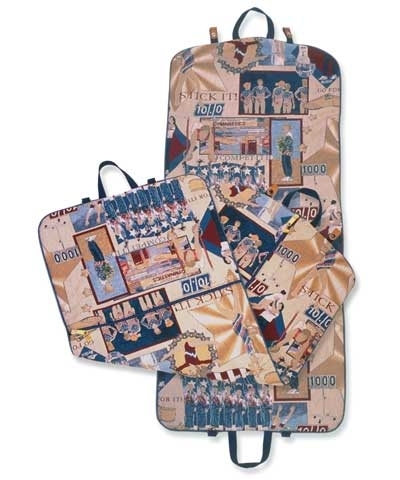 A generous sized 24"x12"x11.5" with over the shoulder straps that circle the bag. Lined in a heavy duty waterproof fabric. Add the Tapestry Hanging Bag and it's the perfect graduation, birthday or coaches' gift.